I am a detective with the metropolitan police and I need your help. See we've been tracking a contract killer for a couple of months now and last week, we raided an old safe house after a tipoff he was there. Unfortunately he wasn't but we found a note and some sort of puzzle he had left in an apparent attempt to mock me. Shame I couldn't stick around to meet you but I've got my next client to prepare for. Rather an odd one too, paid it ten years in advance, although still gonna be a day late I think! With those of his town standing by his side. All will see how long it will last! Good luck Detective, times running out! In addition to the note he had left some sort of crossword with notes scribbled around it. We have been stuck on this for a while now and we need to catch him! Can you figure out when and where he will strike, and if possible the motive behind the attack in the first place? Based on the anagrams discovered by SKOG, we can see that the contract relates to the English Football Association in some way. Working backward and looking at the Wikipedia article for soccer, we see that The Football Association is the oldest such organization in the world, and that it originally formed in England in 1863 and created the first set of national rules for the game. It is widely believed to be the beginning of modern football. England being an island nation and a monarchy (at the time), represents the king, and its eventual participation in FIFA satisfies the "Now stands with all" line. The next two lines further the current state of the sport - it is a world wide pastime, and teams represent towns or countries, though for the purposes of this riddle, I suspect we are not including FIFA (though considering the World Cup going on now, it seems appropriate) and merely the auspices of the FA, or possibly even the UEFA. The second stanza talks of a game where the victors are, for the first time, top of their class - either the first time they entered a top bracket (like Premier League) or the first time they won first place. Partial for the word search. These are all FC teams, as mentioned above, and all have been in the Premier League at one time or another. Curiously, Arsenal is the only team to have never been relegated from the Top tier (be it Premier League, or the other top leagues that came before it), having now been in the "top class" since the 1914/15 season. However, I don't see how this ties in to the "We were humiliated" message from the remaining letters in the word search. As Arsenal has never been relegated, it is unlikely that they were ever humiliated, so are the listed teams the ones doing the humiliating (in which case there are multiple targets) or have they all been humiliated in some way by a single team? Or are they all members of another club that was party to the humiliation? This seems unlikely, as the riddle already establishes that we are discussing British Soccer, so this clue doesn't seem to narrow down the problem space. 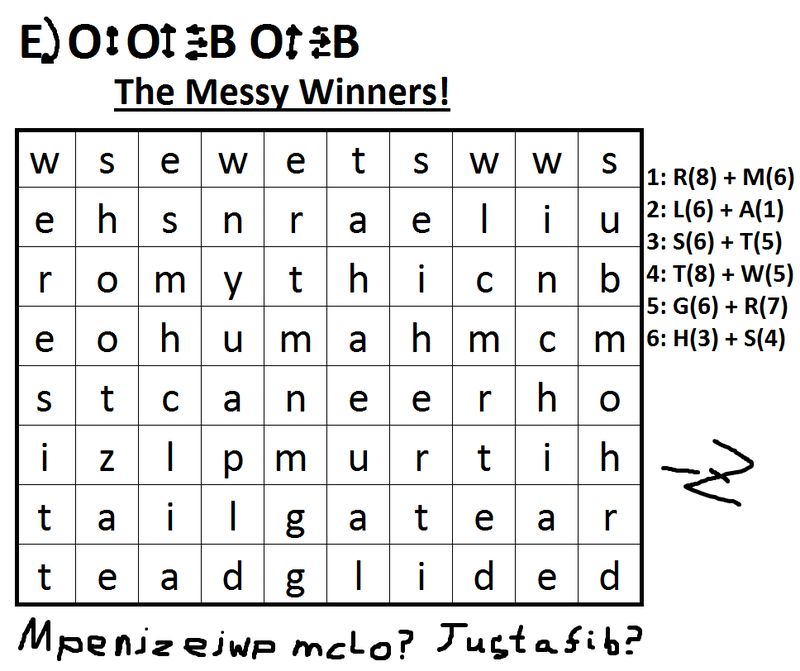 Also, considering the clue in the title of the word search "The Messy Winners", it may be have double meaning, not only intimating that the words are anagrams (all messed up, i.e. "messy"), but also that they won by messing up the perceived wronged party. If this is the case, then there are multiple targets, and we must consider that perhaps the order of the teams indicates the order of the hits. This also warrants asking whether "hitman" has a double meaning, in that a striker in football is often referred to as a hitman. That's as far as I can carry it for now - we need answers for the remaining two parts - "EOOBOB" and "MpenjzejwpmcLo? Justafib?" (I assume the selection of 'j' and 'i' is correct) - to proceed. For those more familiar with football, do the symbols accompanying EOOBOB mean anything? Is "WEWEREHUMILIATED" perhaps a key for the text below the crossword? I've tried a couple ciphers (Vigenère and Beaufort) but no luck so far. I also tried EOOBOB as a key out of desperation. UPDATE: Re-reading the clues, I notice that the note left mentions that the slight happened 10 years ago (which would be 2008), and that the payback will be a day late. I've tried to correlate this with final matches played in the leagues in 2008, looking at FA and UEFA. UEFA looked promising as it was Chelsea's first ("The first time they have been top class"), and Manchester won in penalty, making the match somewhat contentious. Looking at FIFA, there is also some promise as Machester United became the first English team to win the FIFA Club World Cup (which is different than the FIFA World Cup). It also ties in with the "day late" part as the 2008 finals were held Dec 11-21, and will be held Dec 12-22 in 2018, whereas the UEFA Champions league was on May 11th in 2008 and was May 26 in 2018, making a poor match (and took place over a month before this puzzle was posted). So, I am fairly certain that it ties in to the FCWC. However, since Manchester got into the FCWC by defeating Chelsea in the above UEFACL final, it might include both. However, only four English teams were involved there - MU, Arsenal, Liverpool, and Chelsea), two of which are not in the word search. The 2018 UEFACL Final was won by Real Madrid, which makes any sort of revenge upon any team involved in the 2008 FCWC iffy. There are so many possibilities, and presumably the competition must have been graced by each of the teams listed in the "Messy Winners", so it must be a English only thing. I can't find an event won by those, and only those, teams. Assuming those are only a subset makes the problem space unfathomably vast. Again, I'm stuck. A clue/hint might be helpful. I'm sure these observations fit in somehow as the numbers match up, but I feel it just requires too much domain knowledge to filter it out (or the solving of the remaining two puzzles). either Birmingham City or Manchester City, simply based on character count and the apparent space between the p and m. Is that perhaps our aggrieved party (if Birmingham) or the intended victim (if Manchester)? Again, so many rabbit holes to wander down. Also, some plays on words that are fun in hindsight - "sporting chance" and "time's running out". is the Easter island heads. the Hanga Roa stadium in Easter Island. Easter Island at the Hanga Roa stadium. I don't understand the crossword puzzle. Camelot Knights baseball team was my best match. Westbury NY which seems to be their hometown. Have no idea about time and assume it is hinted in crossword part. Not the answer you're looking for? 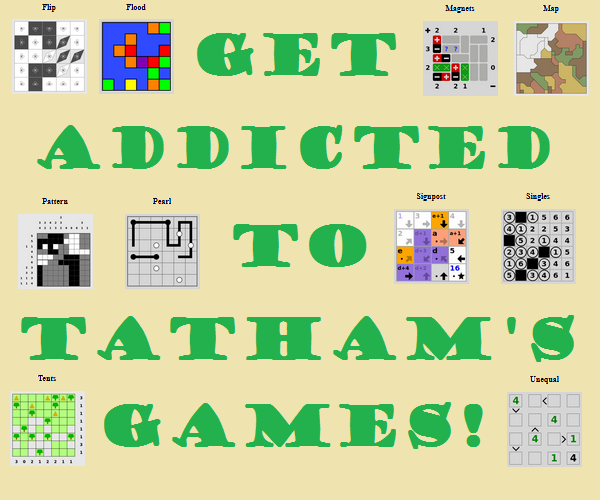 Browse other questions tagged riddle cipher crosswords or ask your own question. Who Killed the Biology Teacher?